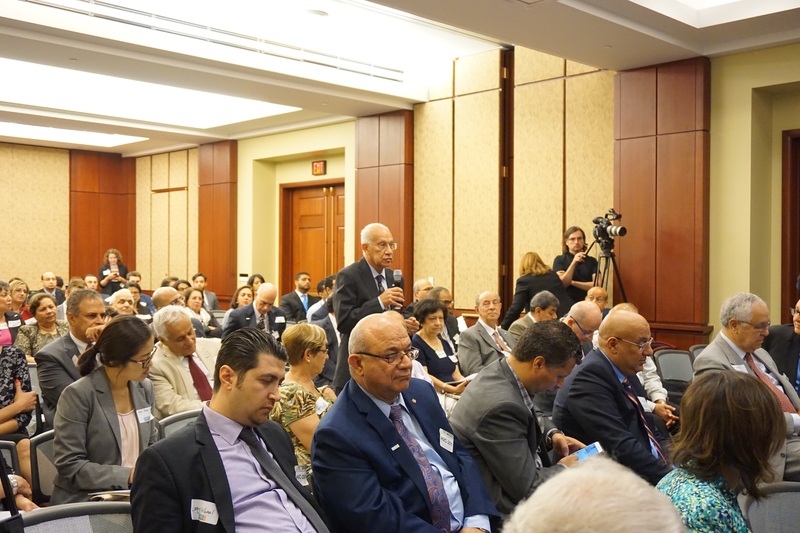 Coptic Solidarity hosted its 8th Annual Conference on June 15 – 17, 2017 in Washington, DC. The theme, Egypt: Combating Terrorism without Sacrificing Civil Rights, was particularly timely with the recent approval of a new NGO law in Egypt that further expands the already draconian crackdown on civil society in Egypt. This year’s conference featured nine Members of U.S. Congress (MoCs) speaking and messages from Senator M. Rubio (R –FL), from Canadian MP Dr. K. Leitch, and from Mr. Jan Figel Special Envoy of the European Commission for Promotion of Freedom of Religion or Belief Outside the EU. In addition, thirty guest speakers joined, representing a wide array of the political spectrum and civil society organizations, which resulted in a robust dialogue and policy recommendations. Coptic Solidarity President, Dr. George Gurguis, opened the event providing a broad analysis and historical context of the present situation in Egypt. He demonstrated how the origin and evolution of the fundamentalist Islamist culture in Egypt started under Sadat and how allowing the Wahabist ideology to take root in Egypt has resulted in a decline of Egyptian culture and the dramatic rise of Islamic fanaticism, bigotry and violence against the Copts. President el- Sisi’s scorched earth policy against civil society institutions and the simultaneous skyrocketing in number of attacks on Copts are unprecedented in Egypt’s modern history as a republic dating back to 1952. The Egyptian government’s seemingly positive rhetoric towards the Copts was contrasted with the reality on the ground. Dr. Gurguis called for a more sober formulation of US policy towards Egypt, one that makes military and financial aid conditional on achieving genuine progress in human rights, civil society, religious freedom for all, and equal civil rights for the Copts, among other conditions necessary for defeating fundamentalist, Islamist ideologies. Panelists underscored the dire situation of Copts in Egypt, and the concerted effort to rid Egypt of its Copts, which mounts to ethnic cleansing, and to enforce an inferior Dhimmi second-class status on Copts. The role of el-Azhar was noted in creating and perpetuating the present Islamist culture of extremism. Panelists agreed reform of school curricula is needed. There was debate regarding how much President el-Sisi can do to facilitate Islamic religious reform to change the present fanatic culture or better protect the Copts given the institutionalized discrimination against them. Panelists debated how sincere el-Sisi is in his intentions to implement real changes and whether he is capable of matching his words with actions. For conditions of the Copts to change, two conditions need to coalesce; moderate Muslims must work to change attitudes towards Copts, and the Church both locally and internationally has to be more assertive. The discussion also underscored the belief that only Muslims can make the necessary reformations within Islam to build respect and equality for members of minority faiths in Egypt. Finally, some panelists were not sure if imposing pressure on Egypt to make reforms would effect lasting changes, but thought that imposing sanctions on states, institutions, or entities sponsoring Islamic fundamentalist ideologies might be a more fruitful strategy. Due to health issues, Mr. Figel had to cancel his travel and addressed the conference via a recorded video message. He discussed the ways in which his newly formed office is working to protect religious minorities, including Copts, and addressing issues such as blasphemy laws, and legislation that takes away their human rights. Session: Middle East religious minorities: Hostages to terrorists and regimes. Finally, the introduction of “entities of Particular Concern” to the IRF law was highlighted, which would have included the ISIS franchise in Egypt and their role in the persecution of Copts in Egypt had it not been for the “territorial” requirement.The rationale for removing Egypt from the recommended Countries of Particular Concern list was based on the annual nature of the report, since the more recent attacks on Copts occurred after the publication of the latest report. This decision can be changed next year. Symbolic gestures by President el-Sisi, visits to the Coptic cathedral, completing the repair of churches destroyed in Aug. 2013, and the new church construction and repair law were strongly welcomed and seen as significant improvements. However, it remains to be seen how the new church construction law will be implemented. Other issues namely; blasphemy laws, civil society institutions, requiring religion on ID cards, and public shaming continue to be of concern. In conclusion, Egypt has much room for improvement. Panelists identified three levels of violence, and their application in the case of Egypt. The first, inflicted by governments in the form of injustice, mis-governance, corruption and human rights abuses; the second, the minorities’ lack of civil rights, and the normalized or daily discrimination and violence inflicted by the majority against minorities, “those who have power over the week”; and thirdly, the violence inflicted on “the other” by organized, well-funded Islamists to defame and kill non-Muslims. The escalation of religiously motivated violence was underscored and the need to bring perpetrators of religiously motivated crimes to justice was emphasized together with the need to abolish the so-called “reconciliation sessions.” Panelists noted the abuse of “state of emergency” measures to crackdown on political opposition and perpetrate human rights abuses. President el-Sisi’s rhetoric was labeled a form of impunity as it is not sincere and not backed with teeth to make it meaningful. El- Sisi has failed to acknowledge the real level of violence against Christians in Egypt, and his unity mantra has detracted from the increasingly dangerous threat which Copts are facing. The Egyptian government is not prepared to fight terrorist elements and the economy is in decline. 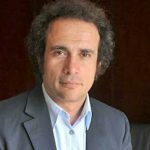 The crack down on civil society institutions and the new NGO law are reasons to question el-Sis’s rhetoric. It was recommended that members of Congress should raise these issues in their visits to Egypt. Panelists noted that ISIS is drawing battle lines in Egypt on the Copts. If Copts are forced to flee, and if ISIS is permitted to pursue their genocidal goals, the Middle East will be dramatically transformed to the detriment of the US and the West’s interest. 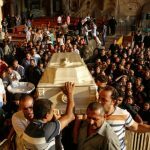 Copts are now seen to stand in the way of a Sharia state, and ISIS in Egypt is a franchise led by local extremists who aim to paint the Copts as traitors silently colluding with the enemy. Churches are particularly targeted as a means to eradicate the entire Coptic presence. The fate of the Copts is now the primary measure of effectiveness for President Sisi’s policies despite his call for a religious revolution. During the discussion, panelists unanimously concluded that increased and persistent advocacy by Coptic Solidarity and other like-minded minority advocacy groups is the key to improving the situation for Copts. They also highlighted the need for Members of Congress to visit Church leaders and sites on their many visits to Egypt, and for President Trump to constantly reiterate the importance of human rights and religious freedom in his communications with President El-Sisi. George described how fundamentalist Islamist ideologies are similar to totalitarian movements such as Nazism and communism. The situation in Egypt regarding Islamic terrorists is “a struggle that pits lawlessness and tyranny, totalitarianism itself, against freedom and dignity.” “Copts are always in the line of fire” as they are viewed as competition in this battle for the hearts and minds of the populace, and they are also advocates of democracy and human rights. Christians and other religious minorities are a roadblock to cleansing the Middle East of its minorities and a dangerous obstacle to radical dreams, as many Christians are advocates for religious freedom. Violent extremists in Egypt seek to destroy religious minorities. The government’s policies have both directly and indirectly harmed religious minorities and emboldened extremists by their repeated failure to bring perpetrators of violence to justice. The only way for the Egyptian administration to defeat this ideology is to remove laws and policies that crush peaceful dissent, restrict freedom of religion, belief, and conscience, and to bring perpetrators to justice. Blasphemy prosecutions are applied disproportionately to Christians and other non-Muslims which have resulted in marginalizing these communities, encouraging intolerance against them, and suppressing more moderate, pro-reform, pro-democratic forces. It was noted that el-Sisi has not departed from Mubarak’s long-standing ways of crushing dissent, as he has not changed the laws to encourage freedom of religion and has not brought perpetrators of violence to justice. Egypt’s government must redouble its efforts to do that, and abandon the notion that the answer to extremism is repression. Civil liberty, equal justice under the law, and dissuading people from becoming religious extremists are sustainable solutions. Repression cannot achieve equality and pluralism”, and Copts should partner with liberals against crackdowns, even when those attacked are their political enemies such as in the case of the Rabaa massacre. More nuance and accuracy are required in the approach to designating terrorist groups. The panel was followed by a lively discussion, which focused on the importance of accuracy and nuance in representing Coptic issues. Mr. Hassan gave an excellent presentation on the current dire situation of Copts in Egypt. He highlighted that the Maspero massacre was a brutal message intended to push Copts away from uniting Egyptians in their common struggle for democracy, and that under Sisi’s tenure, Copts were officially and legally, through the new church construction law, recognized as a “sect” and not equal citizens. Copts have three choices: 1) Continue the existing course and become virtually extinct in Egypt as the Jews have. 2) Seek protection from the international community, although the result has not been successful in Iraq or Syria. 3) Embed themselves into the Democratic Liberal Movement in Egypt to seek equality, justice, and the protection for all Egyptians. Mr. Hassan argued that only through the third option would Copts find long-term safety, security, and equality in Egypt. Some major points of continuity reiterated by nearly every Member of Congress (MoC) who spoke at the conference included the importance of hosting our annual Policy Day which is an important reminder and call to action for U.S. legislators, a call for Coptic Solidarity to continue advocacy because it makes a difference even when the results are not immediately visible, and reassurances of their continued support for protection of Copts and a desire to see them achieve equality in Egypt. MoCs noted some positive efforts made by El-Sisi, but called for further concrete actions. The new NGO law and unprecedented crackdown on civil society was universally condemned. “Coptic Solidarity plays a critical role protecting the rights of Copts in Egypt and Christians and other minorities across the Middle East. Your work has helped shed light on the persecution that Copts and others are facing in practicing their beliefs in their ancient homeland. Your dedication to the cause of equality and human rights is honorable and just. The ten million Copts in Egypt and other minorities across the Middle East are stronger because of your leadership and the tireless efforts of the Coptic Solidarity team. Panelists discussed the Islamization of the public space and its effects on the Egyptian society in general and on minorities including the Copts. Social or public space and time, is one where all citizens feel equal and express themselves freely. It plays an essential role in the emergence of individual rights and civil society. Islamization of the public space which started after the 1952 military coup, escalated precipitously when Sadat pushed through a constitutional amendment declaring Sharia the main source of legislation, released members of the Muslim Brotherhood, and formed The Islamic Group (Gamaa Islamia). Islamization of the public space continued with Mubarak to thoroughly pervade the Egyptian society. This is reflected in the media, both state-owned and private, where Islamic topics constitute the major themes, names of geographic landmarks long known for their Pharaonic, Coptic, or European origin or names in Egypt’s history were systematically changed to Islamic names. Targeted actions included replacing historic names with Saudi Arabian names and preventing churches from publicly displaying the cross or other Christian features. Significant changes were instituted regarding acceptable public dress over the past four decades. Now, not only do most women wear the hijab, but some wear the niqab. Simultaneously, Christian women have been harassed for wearing a cross. The public space was also invaded through broadcasting Islamic religious worship and material on loud speakers. Common everyday language changed, and artists were co-opted to don the hijab. The result is reinforcing fanaticism, silencing moderate Muslims, and psychological alienation and social marginalization of Copts and other minorities. All Panelists described the detrimental impact of the new NGO law passed by the parliament and recently signed into law by President El-Sisi. Ms. Elly Page provided her detailed legal analysis and critique of the new law. The written version can be viewed here. MECHRIC’s representatives addressed the increasingly perilous situation for Christians and other minorities in Iraq, Lebanon, and Syria. Merogi talked about the ferocious ISIS attacks on Chaldean Christians, their persons, property and the particular hatred that has been expressed in the destruction of churches and religious objects. He showed the audience a Bible, which ISIS militants had tried to rip apart. Upon failing, they chose to shoot a bullet directly through the cross on the cover. This visual aid did much to personalize the trauma and severity of attacks against Christians in the Middle East. Mrs. Griffin provided an update of Coptic Solidarity’s key achievements over the previous year. Activities included press and social media work, advocacy campaigns, and increased outreach to government officials and Congressional offices. She made special mention of the Egyptian government’s increased effort to hamper Coptic Solidarity’s work which seems to indicate that the organization’s advocacy and awareness efforts are creating more pressure on the Egyptian government to protect and treat Copts equally. Mr. Hassan noted that after the 2011 uprising, Egypt had three choices; revert to Mubarak’s path, pursue the Islamist path, or choose the liberal democratic path. The democratic path blossomed in the early twentieth, was destroyed by the 1952 coup, and was reborn in the 1990’s. The liberal democratic path was viewed as a strategic threat to both the military establishment and Muslim Brotherhood (MB) who shared political religious conservatism and viewed secularism as a foreign concept. The alliance between the military and the Muslim Brotherhood was only tactical. Once the military completed its crackdown on the MB, it turned its attention to civil society institutions using security, legal, judicial, street violence, and targeted assassinations to hamper their work. They declared the April 6th movement, youth organizations, political groups, and NGOs to be foreign agents. Once elected, el-Sisi “resumed and escalated the attack he had supervised as Director of Military Intelligence in 2011 against human rights NGOs.” The crack- down continued under the guise of the “fight against terrorism.” The draconian NGO law allows the designation of human rights NGOs as terrorist entities. Attacks on NGOs have included freezing assets, shutting down NGOs, issuing travel bans, and initiating harassment by security forces. The only step remaining for the regime to complete its death threats would be to start issuing life sentences to human rights defenders. Copts actively participated and had decent representation in political parties during Egypt’s experiment with democracy in the first half of the twentieth century. Some Copts held posts of minister and prime minister. The church relied on the support of prominent Copts in managing its affairs when it came to interacting with the state. Government policies after the 1952 military coup had detrimental effects on Copts, robbing them of their wealth, social standing and political participation. As a result, the Church by default came to be the sole institution representing the Copts and was forced to interact directly with the government. The clergy were not experienced politicians, were unequipped to defend the political rights of their flocks, and subjected to political manipulations and threats. As Copts owe spiritual obedience to church leadership, the government found it easy to manipulate the entire Coptic population through exerting pressure on their church hierarchy. Copts are subjected to various kinds of oppression, persecution, and discrimination. The most common form of violence is “Nobody’s Violence,” in which perpetrators are virtually impossible to pinpoint, and responsibility is diffused. The government has used sectarian unity as a ploy and threat to pressure Church leadership to tow its line. This pressure explains why leaders of the Coptic Orthodox and Evangelical churches in Egypt recently sent letters to Members of the U.S. Congress claiming that the Coptic minority is doing better under el- Sisi’s rule, despite accelerating attacks against Christians. The panel was followed by a lively discussion, particularly regarding these letters which claim the Copts’ situation under Mr. Sisi is good. The ultimate goal of political Islam, militant or non-militant, is to establish an Islamic State or empire and to apply sharia. Islamists aim to replicate their empire from 1400 years ago. Groups such as Wahabis in Saudi Arabia, the Muslim Brotherhood in Egypt, Bashir’s regime in Sudan, and Erdogan’s in Turkey may introduce some changes, but they aspire to recreate an Islamic state or empire. “Advocates of such an ideology are not crazy or extremists, but are faithful and sincere. They practice the Quran, the Hadith, and teachings from the prophet’s life.” Islam has two sides; the first supports universal humanist values, while the other is political or militant, and morphed from being only a religion to being a religion and a political identity that adopted an expansionist, imperialist nature that has swept the world by force. The Muslim Caliph is a religious and political ruler. Many Islamists use Quranic verses that call for forgiveness as a mask that hides their true ideology that stems from the second side of Islam. The origins of terrorism should not be blamed on Wahhabism or the Brotherhood, as they are expressions of political Islam. Some have made efforts to assist Muslim’s in reforming their interpretation of Islam so they can reject militant ideology while simultaneously remaining faithful believers.It was argued that equal rights, regardless of faith, are needed in civil society. Yet, in the case of Egypt, minorities need special measures of protection under the law as merely saying or granting civil rights is not enough to achieve equality. This is particularly true in an environment of religious extremism in which hate speech needs to be outlawed and religious reform and revision of educational curricular are necessary to counter the culture of hate and violence against non-Muslim minorities. Ambassador Bolton made an excellent presentation explaining that the treatment of Copts is a bellwether for the fate of Christians and other religious minorities throughout the region. One critical point he made was about a John Stuart Mill quote on democracy, “The people must be ready to receive it.” He highlighted that freedom of consciences is a prerequisite for democracy. In this way, he explained that holding rushed elections does not bring about true democracy and can be utilized by those best organized such as occurred when the Muslim Brotherhood came to power in Egypt. Mr. Bolton also explained the U.S. view that when religious freedom is being suppressed, “we can virtually guarantee that there won’t be political freedom in any meaningful sense.” So, we need to continue the struggle for Coptic equality and religious freedom because it represents the opportunity for human flourishing for all Egyptians, not just Copts. Mr. Bolton ended by commending Coptic Solidarity for all the hard work done to advocate on behalf of the Copts, and for organizing the annual conference. He noted that hard work and perseverance are necessary to achieve equal civil rights and religious freedom for the Copts, and said “I’m honored to be part of your struggle,” telling the audience they are obligated to use their freedom in the U.S. to work for the freedom of those in their ancestral homelands.